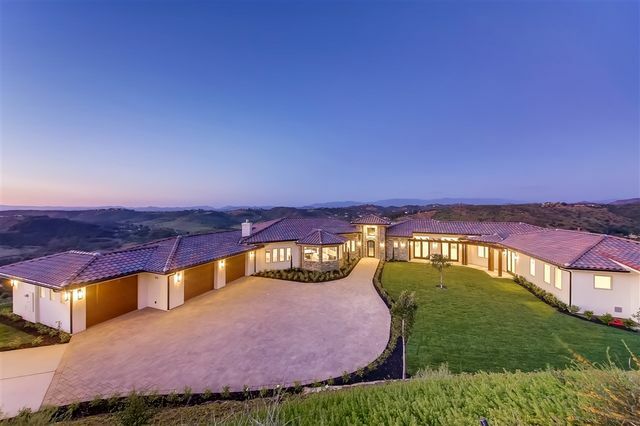 GORGEOUS and Move-in Ready home in gated Vista Valley Country Club. Modern and on-trend finishes throughout, open floor plan with natural light. Million dollar golf course and far reaching views! Spacious downstairs master bedroom suite. Entertain in the stunning all new white kitchen with stainless steel luxury appliances. 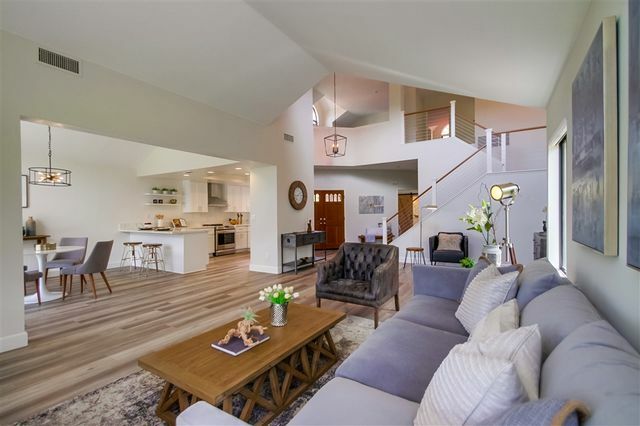 Features: custom stair railing, new floors, fire place, huge laundry room, tons of storage and walk-in closets, sliding barn door, spa-like shower, Garage fits 2 cars plus golf cart. 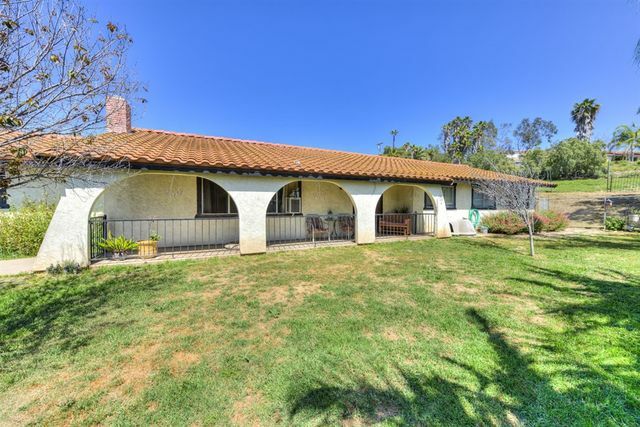 Limitless potential for this, cozy, warm single story home & ¾ acre flat, usable lot. Zoned for 2 horses. Plenty of room for pool & toys, Just South of highway 78, in desirable neighborhood. Minutes away from shopping, restaurants, sights and more! Less than 10 miles to beaches! Open beam ceiling in the living room with wood burning fireplace, hardwood floors and ceiling fans in most rooms. kitchen updated 12 years ago with gas range. Garage and carport for 2 plus ample paved parking in front! 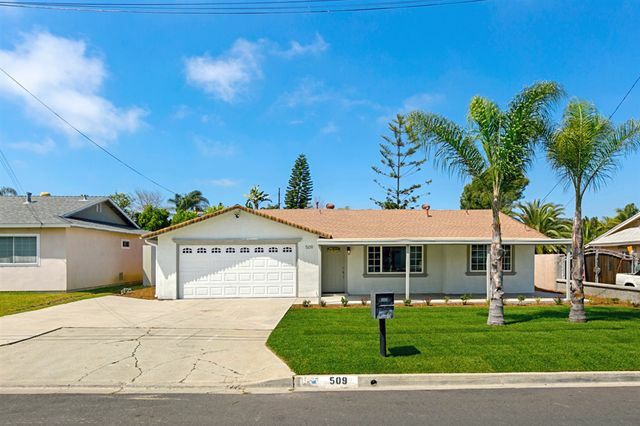 A beautifully remodeled 3 bedroom and 1 bath home featuring 1063 sqft of living space. Open concept floor-plan makes this place feel much larger! New modern finishes include updated kitchen with quartz counter tops, and fully updated bathroom. Absolute best value in the area for a turn-key and move-in ready product! 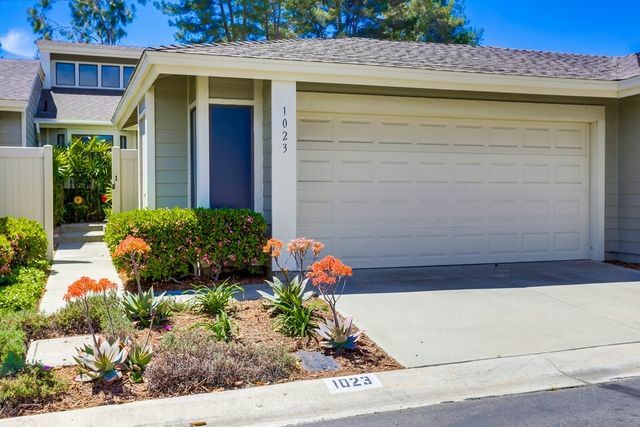 Single story townhouse with open, light filled floor plan in highly desired Shadowridge Greens. Live just steps away from Shadowridge Country Club. Features include: open floor plan, vaulted ceilings, new carpet, freshly painted, gated front courtyard and private back patio/yard, large master suite w/ walk-in closet, over-sized 2 car garage , inside laundry room, plenty of storage, community pool & spa. Great location close to Shadowridge golf course, shopping and restaurants. 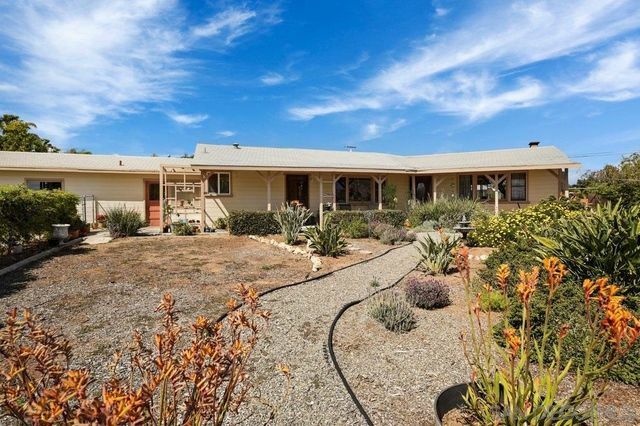 This home is very special and one of a few that are all single level with some of the best views in complex. There are layered hill and mountain views viewed from almost entire house. in the winter months you can see snow on both Mt Baldy and Mt Wilson. Peaceful, quiet, and miles of walking paths through Guajome County Park are literally available right outside backyard. Walk a block to new Vista Sports Park as well as Vista Steam Engine and Tractor Museum. Location, Location and Incredible Views. 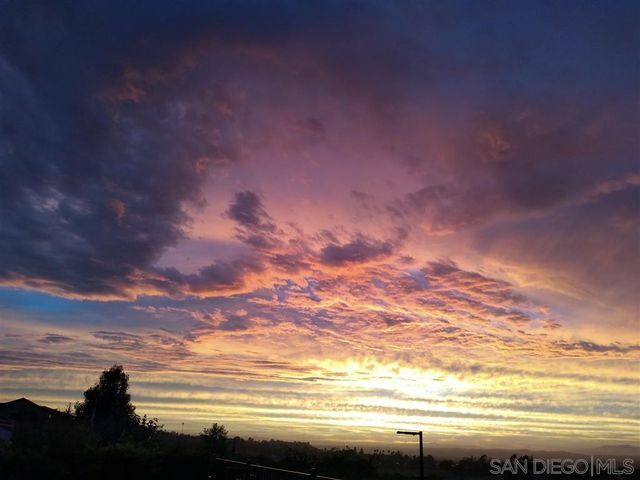 Highly upgraded and ideally suited for immediate move-in or a prime investment opportunity, this chic condo at Vista’s desirable Shadowridge Glen community is destined to sell quickly. Located on the ground floor with no stairs, the two-bedroom, two-bath design extends approximately 1,123 square feet and is highlighted by a private patio, open living area with fireplace, fashionable travertine flooring, newer carpet in both bedrooms, a washer and dryer set, central air-conditioning for year-round comfort, and newer energy-saving dual-pane windows and doors. Granite countertops reflect today’s style in a remodeled kitchen that is distinguished by custom cabinetry and deluxe appliances. Convenience is enhanced by a detached 1-car garage and additional open parking space options. Close to shopping, Highway 78, parks and the prestigious Shadowridge Country Club and golf course, Shadowridge Glen features a private pool and spa reserved exclusively for residents and their guests. LOCATION!! LOCATION!! LOCATION!! 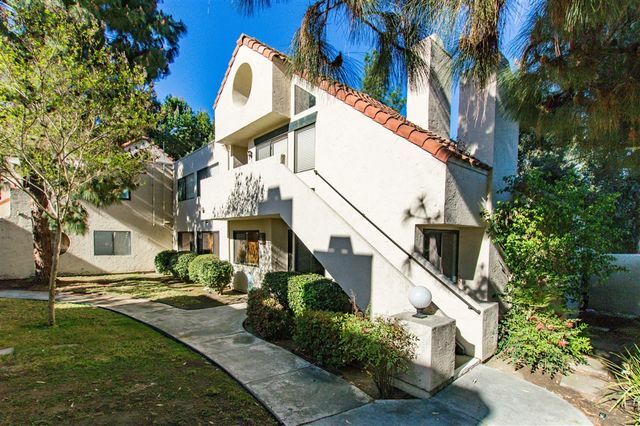 This beautiful condo sits on Melrose very near the 78 Freeway... Located in the rear of property this unit is very peaceful and quiet. The property Melrose Park boasts 2 sparkling pools and has tennis courts. And... GREAT NEWS, the HOA includes trash, water, and sewer in the monthly fee. 1 car detached garage and 1 assigned parking space are included. This upstairs unit has vaulted ceilings, plenty of windows, and wonderful cross breezes light, fresh and bright feel .